How do those psychological studies about music-listening habits go? For the rest of your life, you’ll return enthusiastically to the Top 40 of your high school years? I came of age during the pop nadir of P. Diddy and Limp Bizkit, so I really hope that research is fallible-at least for those of us who hold music above mere autobiographical dressing. We jazz obsessives-music students, as Branford Marsalis might argue, as opposed to fans-get far more nostalgic for the eras we never got to experience than for our own epochs. In my daydreams I’ve chartered a time machine back to 52nd Street, the Cotton Club, Keystone Korner and the Village Vanguard of the heady early ’60s. 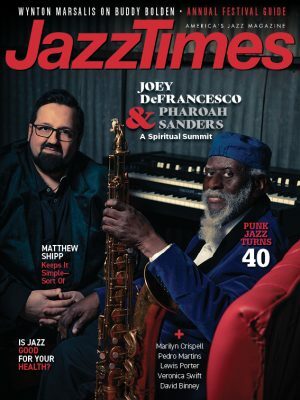 After editing this issue’s cover story, a no-holds-barred oral history of the Brecker Brothers’ fusion-era haunt Seventh Avenue South, I have yet another hypothetical stop to make. More than anything the article, deftly crafted by Shaun Brady, reanimates the New York City I mythologized growing up but one that had long since vanished before I began living there. 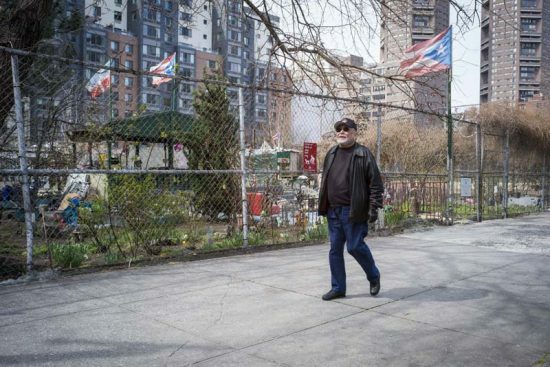 I’m not naïve enough to pine for street crime, substance abuse or economic collapse; like most New Yorkers, I only wish that wealth could exist as part of the city’s ecosystem instead of outright defining it. About three decades ago, composer-saxophonist John Zorn, an icon-defender of Gotham bohemia, famously began wearing a T-shirt that read “Die Yuppie Scum!” But in the cultural atmosphere of current New York-at once fatuously artisanal and commandeered by corporations and a draconian real-estate market-genuine creativity and consumerism make the strangest and most indivisible bedfellows. I don’t think any enterprise straddles that median in more surreal and exciting ways than the Red Bull Music Academy, whose recent New York concert series included two shows that helped me conjure life inside the street-level art community of 1970s and ’80s NYC. One was a program of Glenn Branca’s guitar symphonies, righteously loud and dense as desired, and the other was Eddie Palmieri’s recasting of his 1971 LP Harlem River Drive, performed brilliantly in the neighborhood that bore it (and with Bernard Purdie on drums!). A free concert at which the diversity, fervor and abundance of the crowd reflected New York alone, it was a reminder to relish the present.